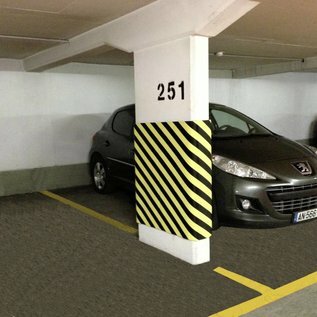 Shock absorbing strips made from NBR (nitrilrubber) that prevent damage and injury. The strips come with self adhesive 3M tape which makes installation quick and easy. For use in parkings, garages, homes, warehouses... Available in various sizes. 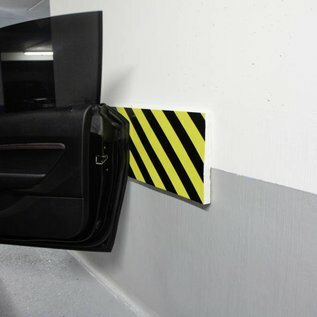 A simple but effective safety product. 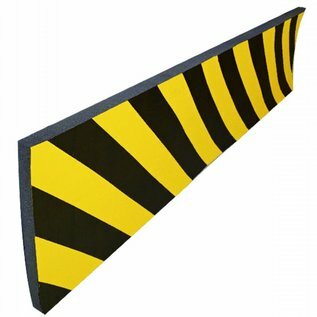 These protection strips are highly visible, absorb without difficulty minor shocks and bumps and prevent damages or injury. 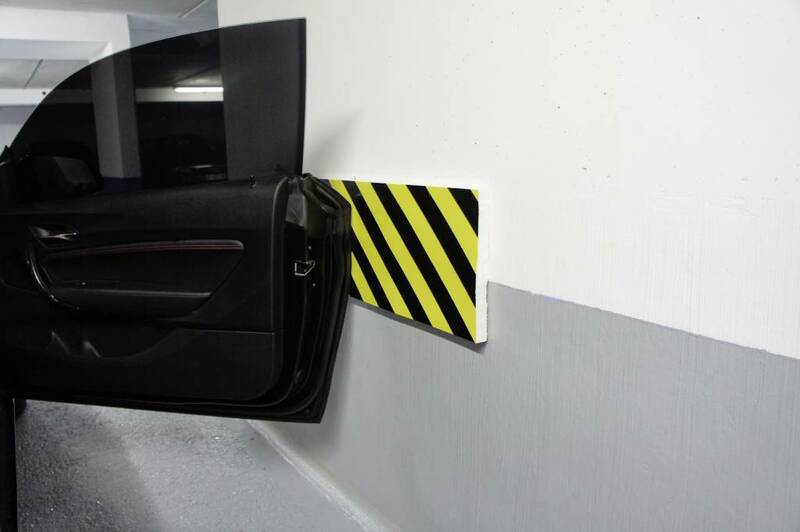 These protection strips are flexible and should primarily be used for minor lateral impacts from car doors etc. For frontal impact protection of eg. bumpers the use of more rigid bumper shock protection strips is recommended. 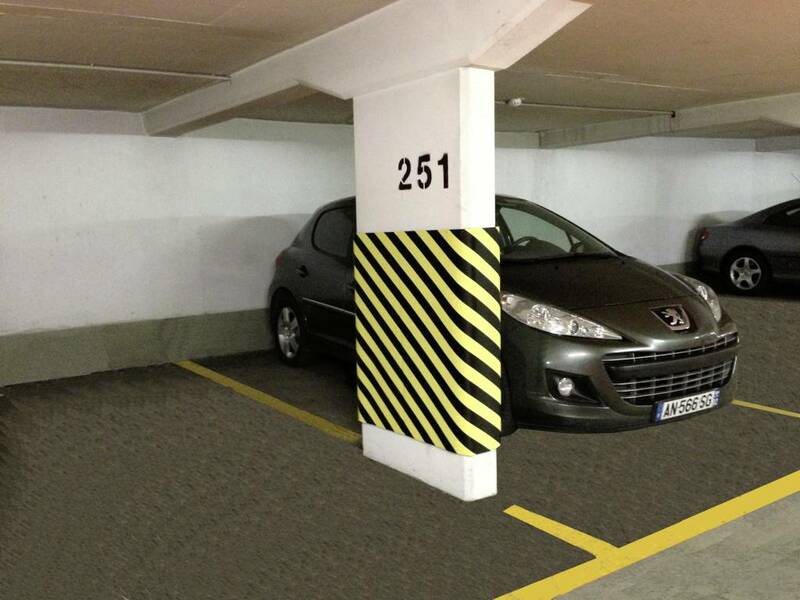 Easy to install with the self adhesive tape that is included. The strips can be cut to size with a Stanley knife. Red/white version available on demand.